When I was young my most coveted possession was a set of 72 Derwent coloured pencils. They were at the top of my wish list for a number of Christmases and birthdays until finally that longed for tin was in front of me. Those pencils provided me many, many happy hours of drawing and to this day I can still remember my favourites (notably ‘Crimson Lake’). Working on the premise, “What would one color be without 499 others?” the designers have given each coloured pencil an inspired name and the names really are magnificent – Drizzly Afternoon, Mermaid’s Gown, Snowpea, Tragedy and Giraffe. For example, there are 25 ‘white’ pencils in the collection ranging from the crisp ‘Icicle’ white to the creamy ‘Cashmere’ to hints of grey undertones with ‘Autumn Fog’. All good things come to those that wait! 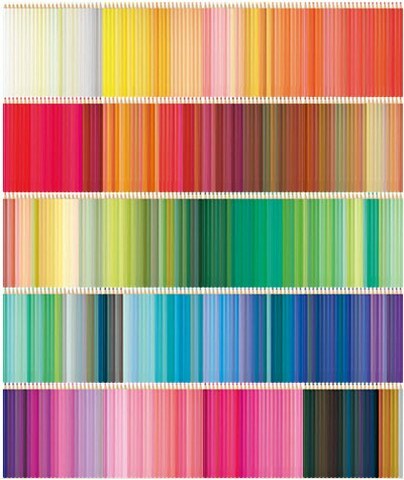 Social Designer recognizes that people are drawn to certain colours and have favourites, therefore the pencils are delivered in sets of 25 over the course of 20 months, giving you time to enjoy the colours. 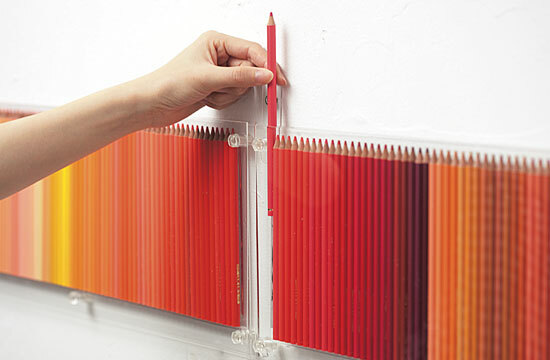 As noted on their site, a subscription to 500 Pencils is dramatic, a time-release of colour. 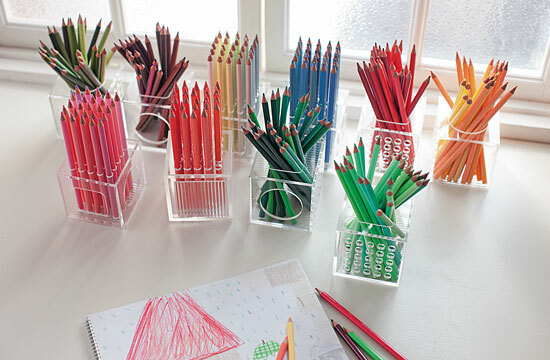 Displaying the collections is a hobby unto itself with numerous display cases available, including wall mounted acrylic frames that make the pencils themselves artwork. A subscription costs US$33 per month. Pencils are shipped from Japan.